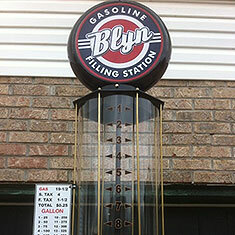 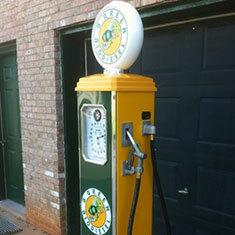 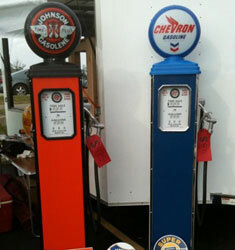 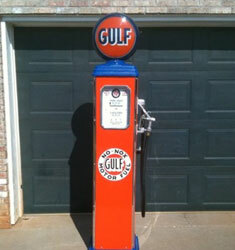 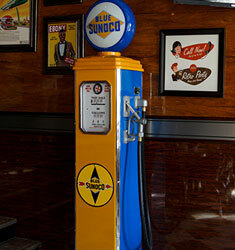 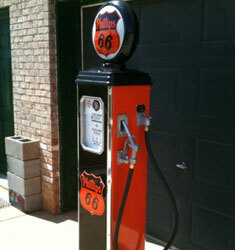 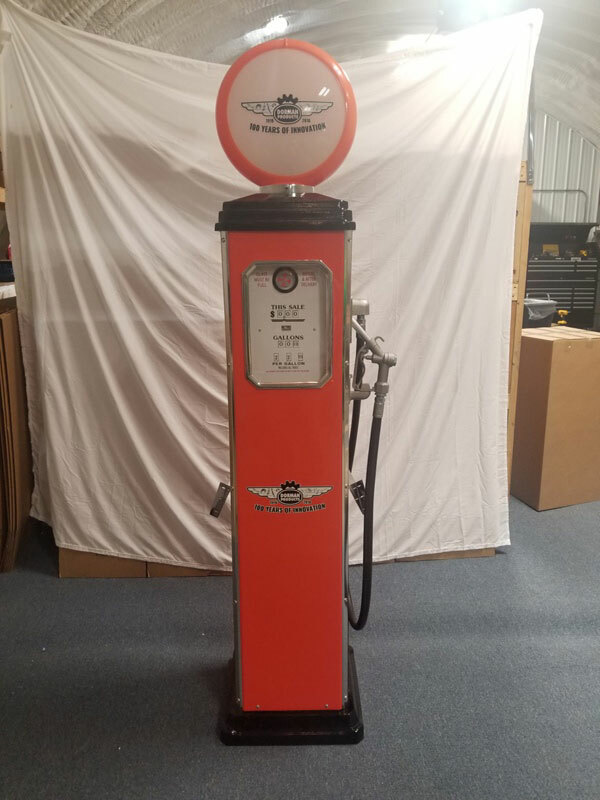 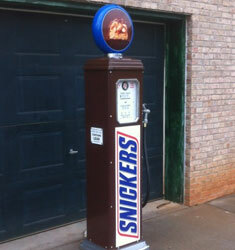 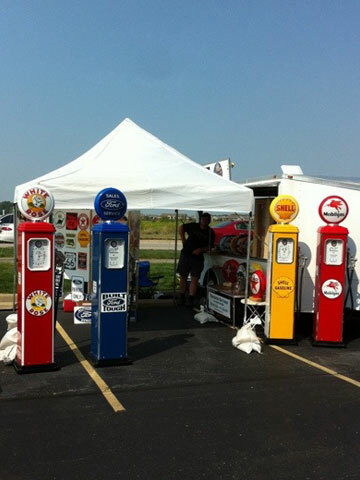 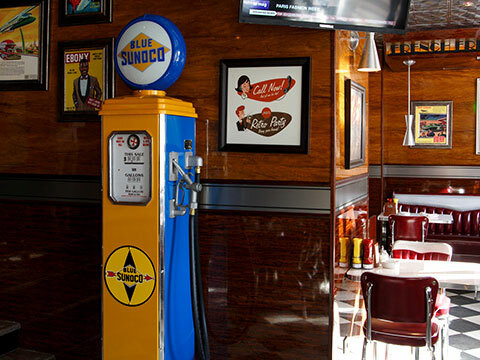 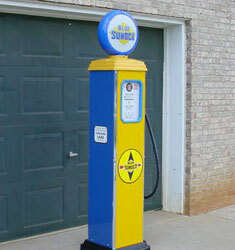 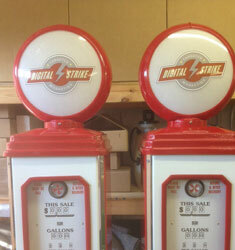 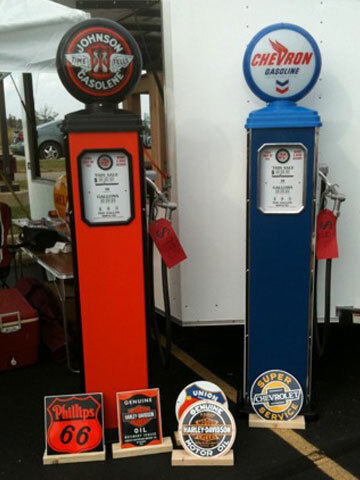 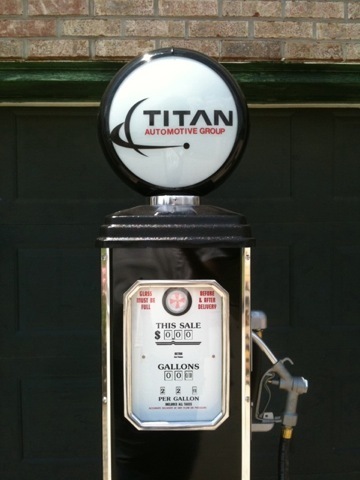 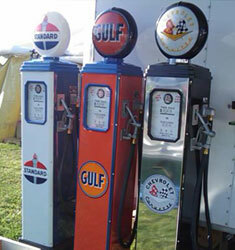 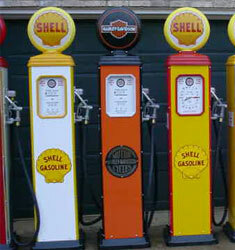 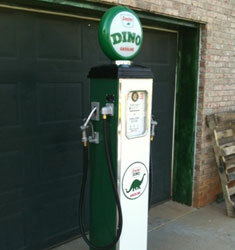 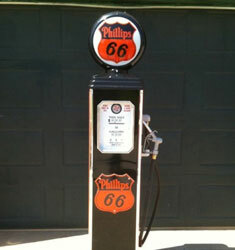 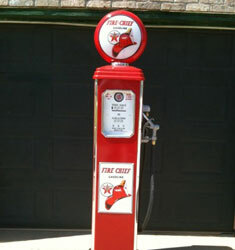 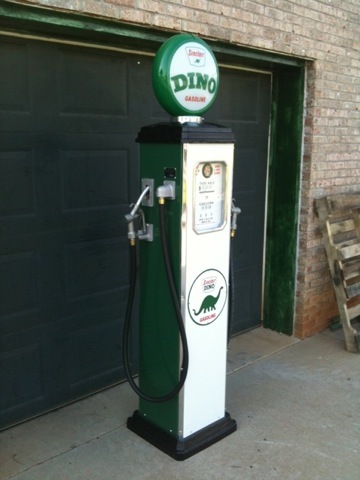 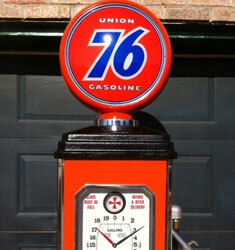 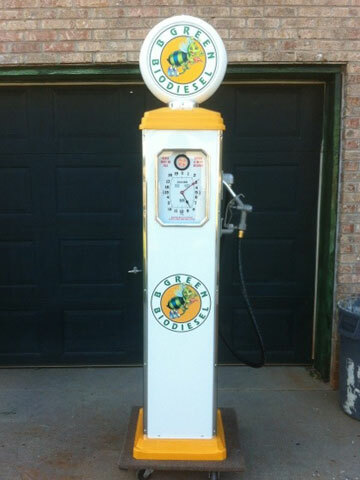 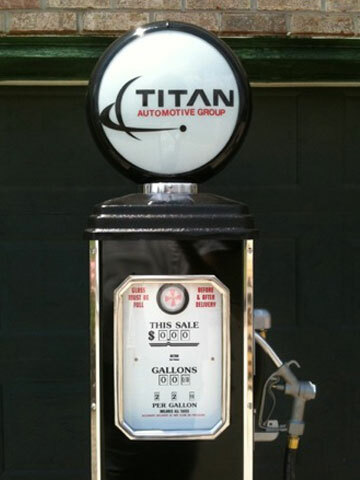 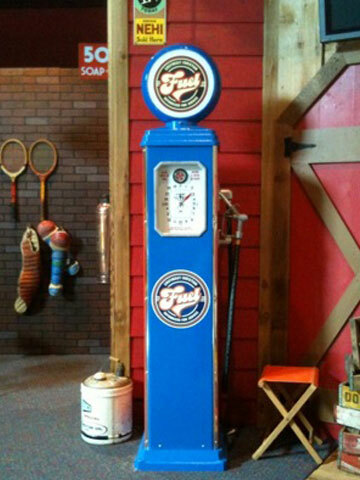 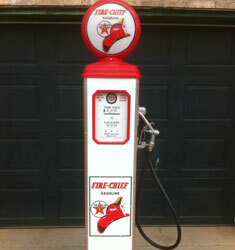 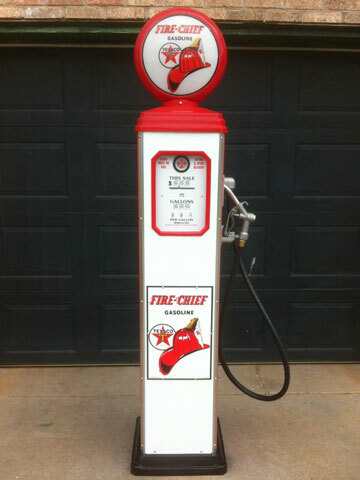 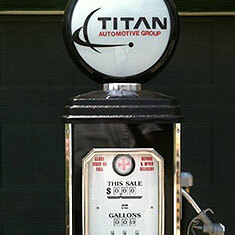 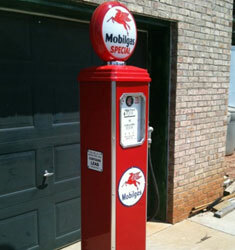 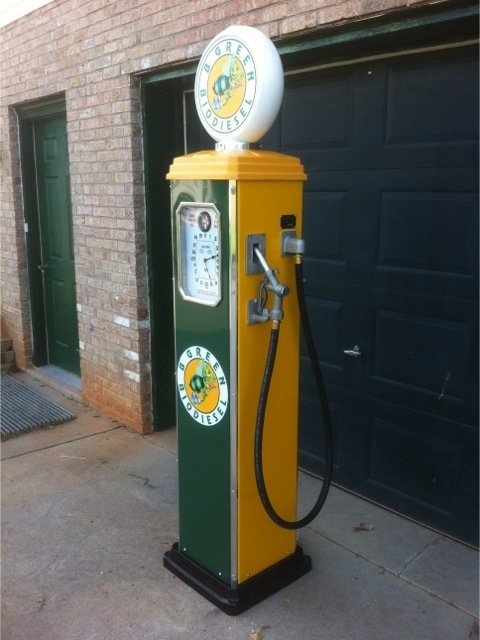 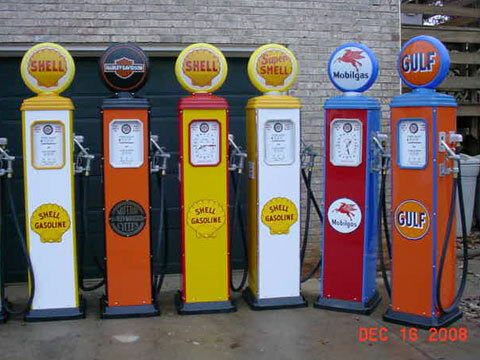 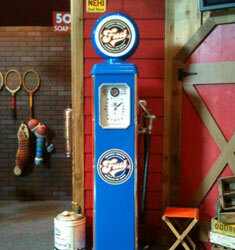 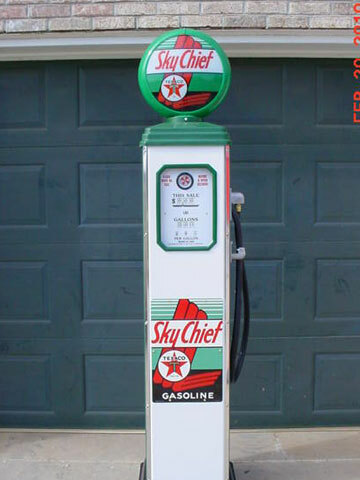 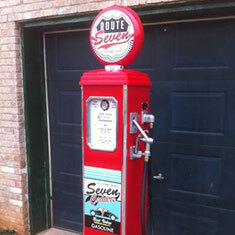 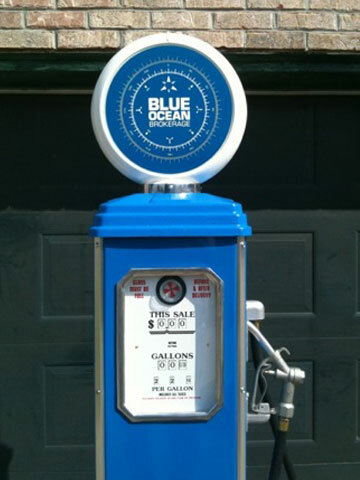 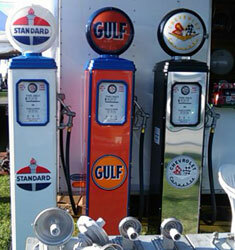 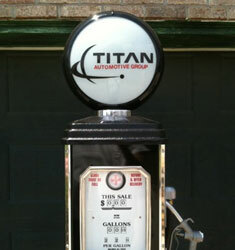 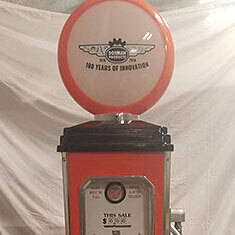 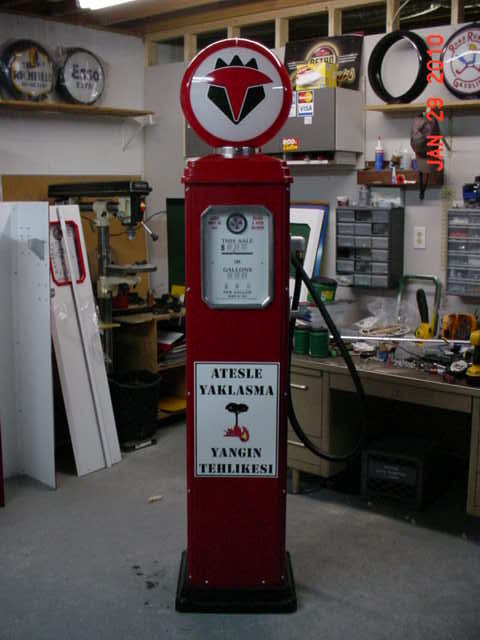 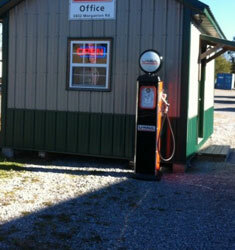 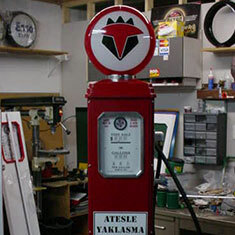 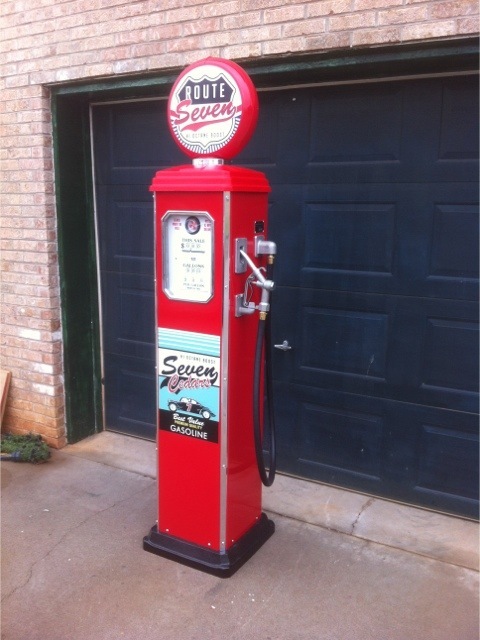 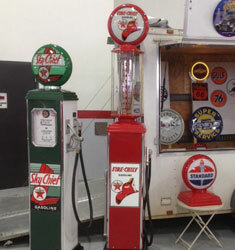 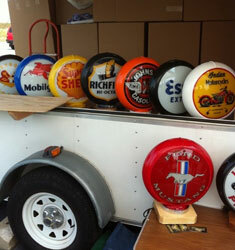 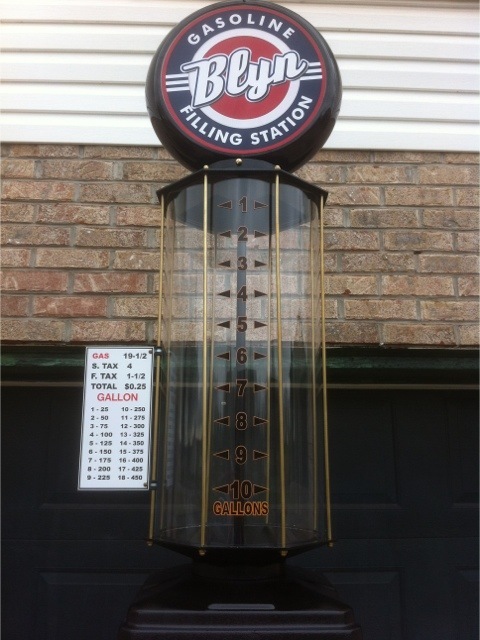 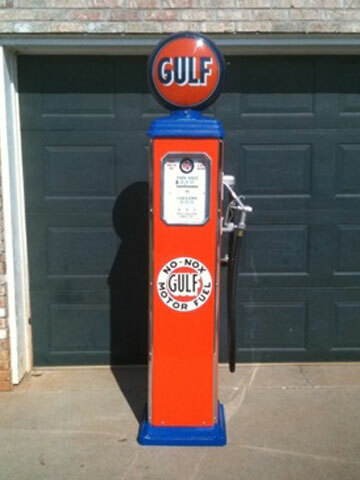 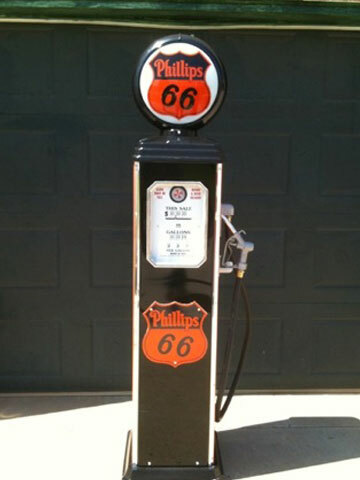 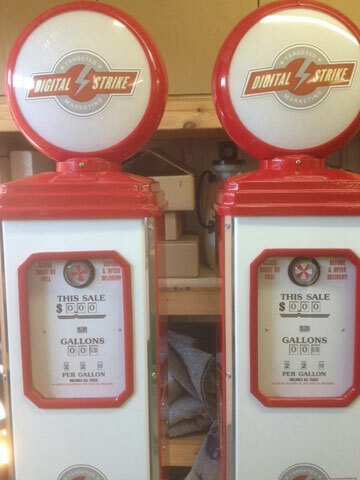 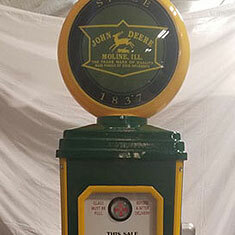 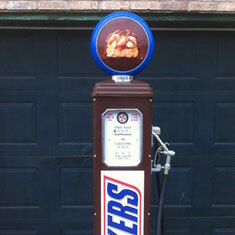 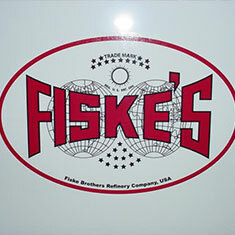 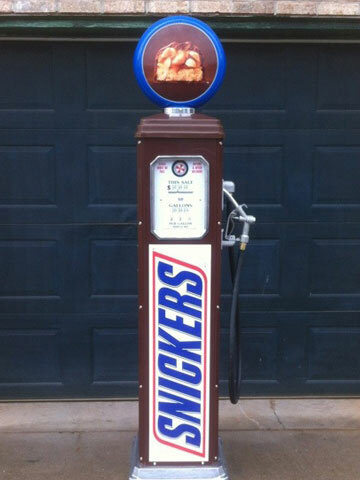 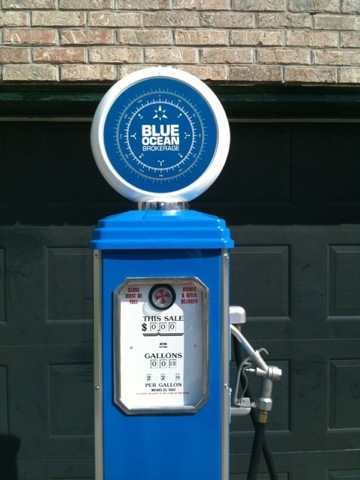 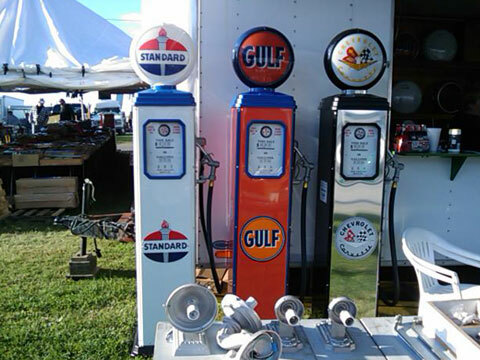 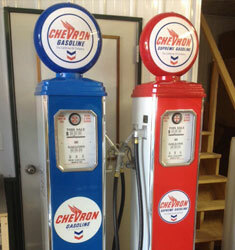 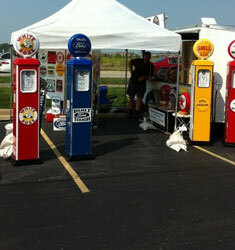 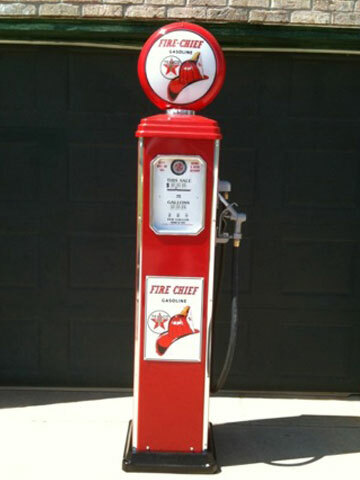 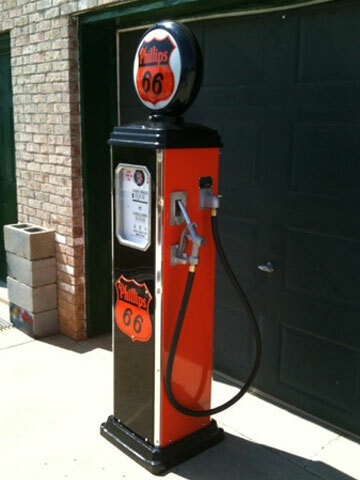 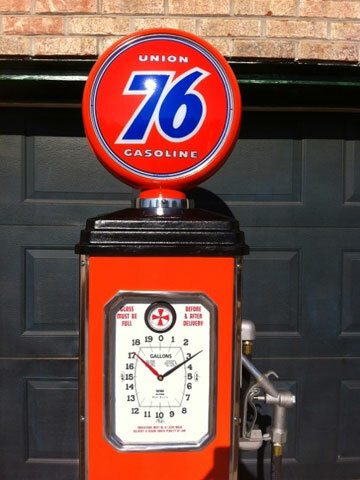 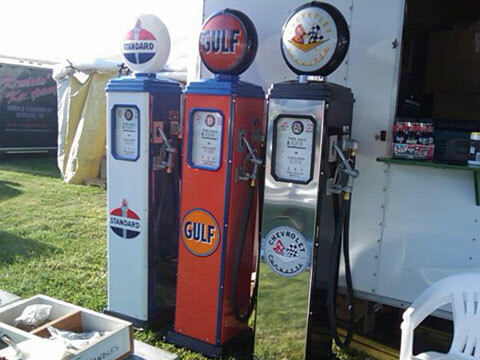 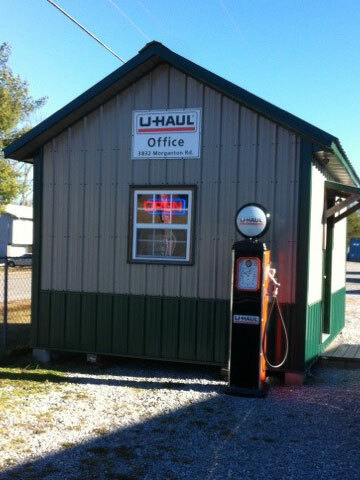 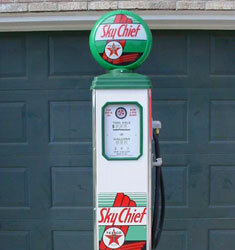 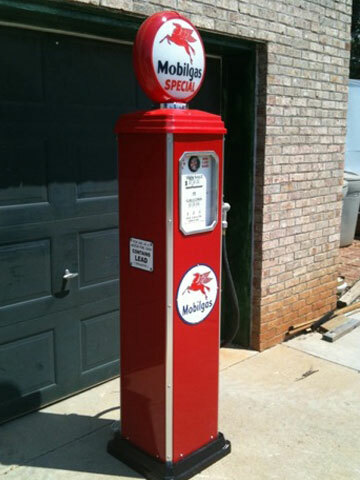 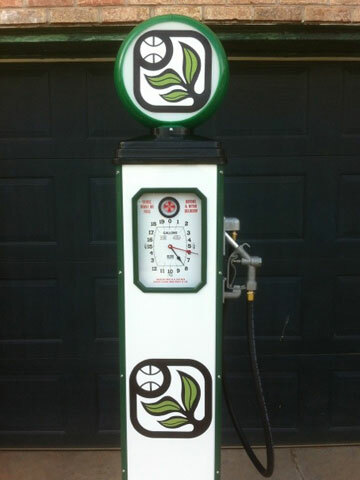 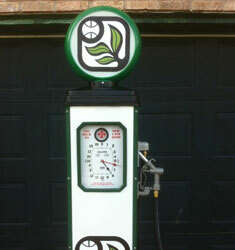 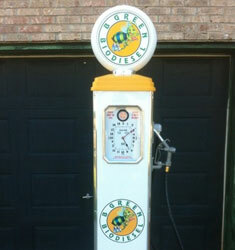 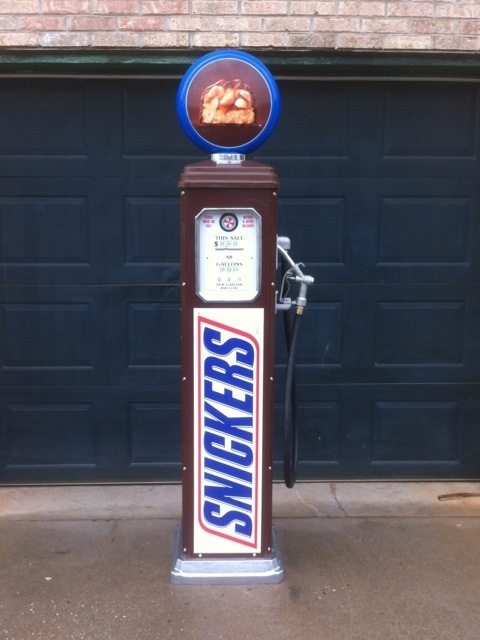 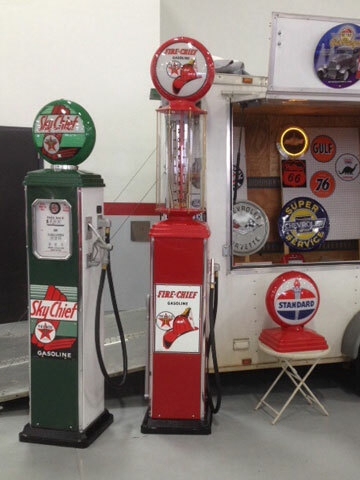 Check out some of our Retro and Vintage Gas Pumps below! 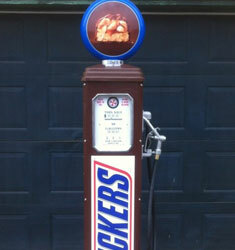 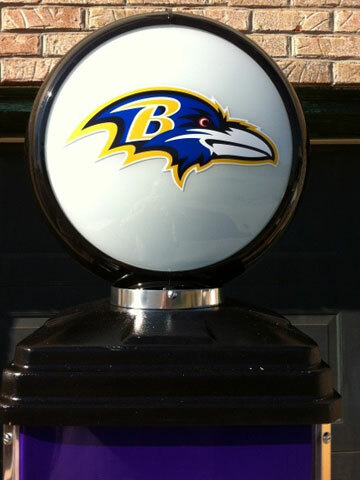 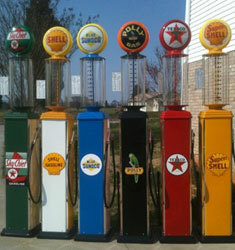 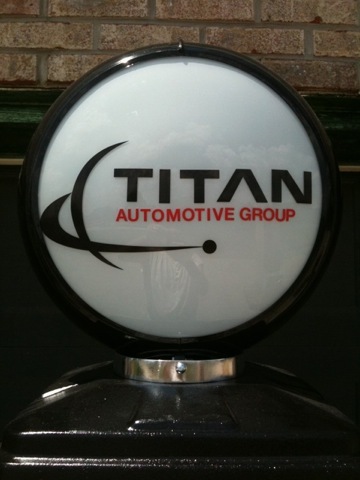 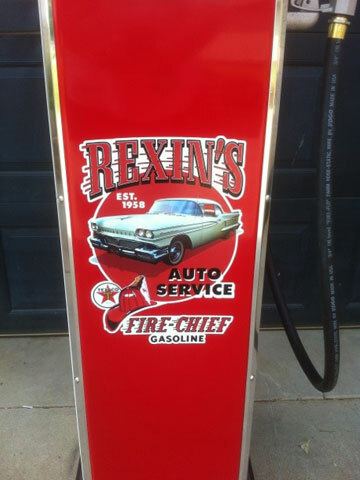 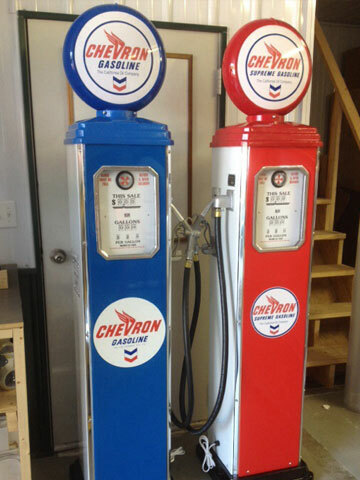 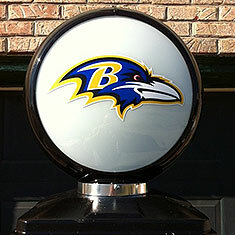 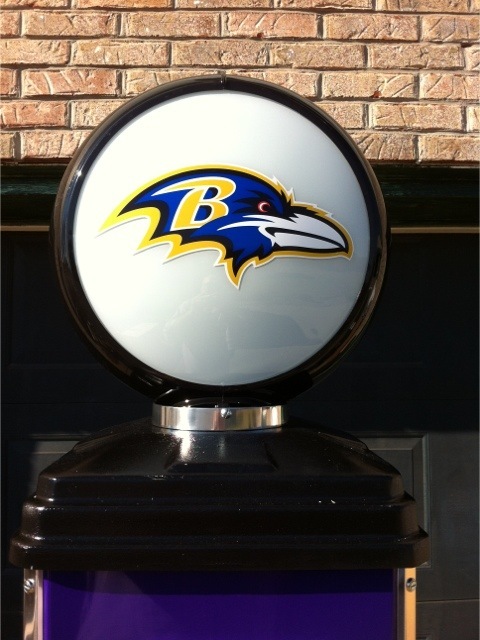 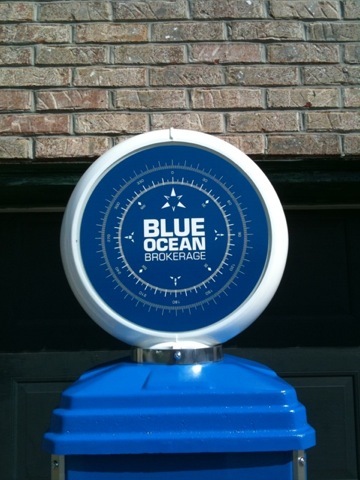 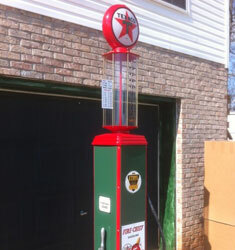 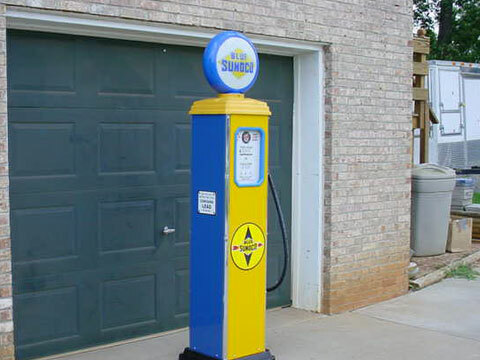 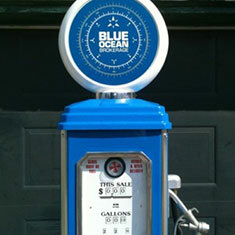 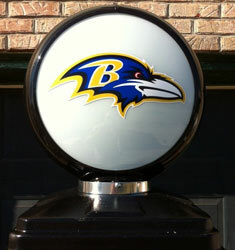 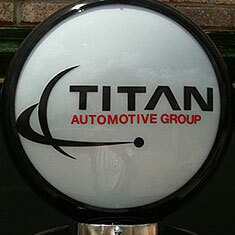 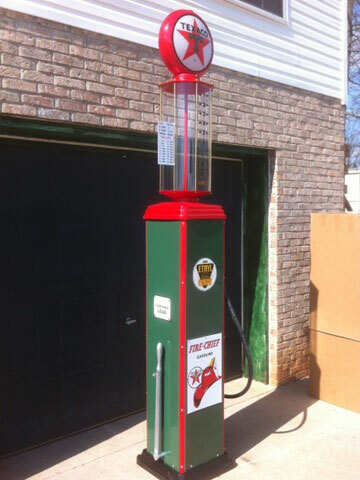 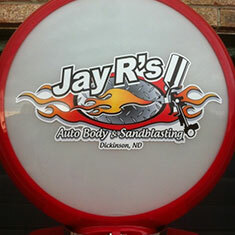 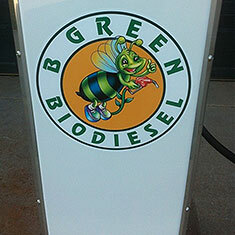 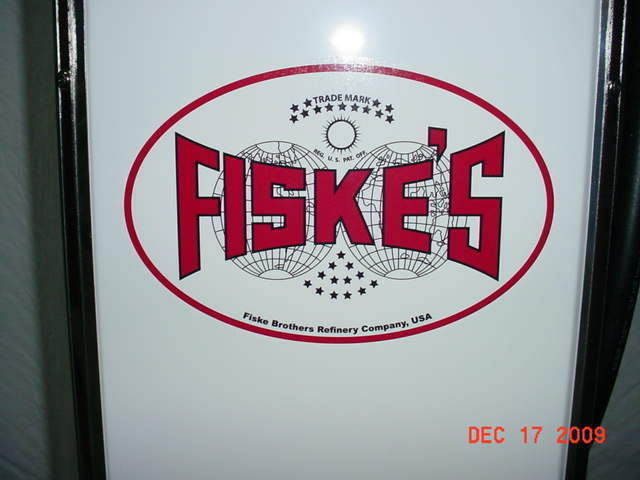 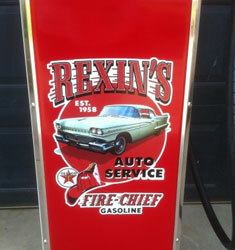 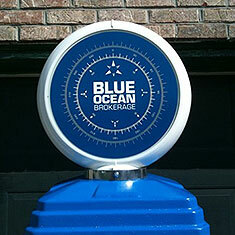 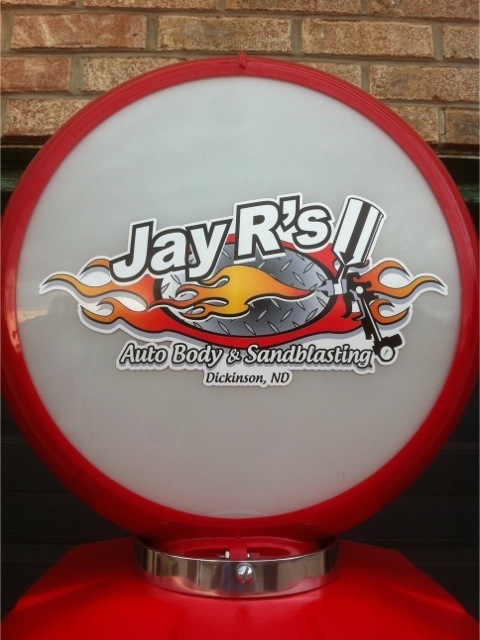 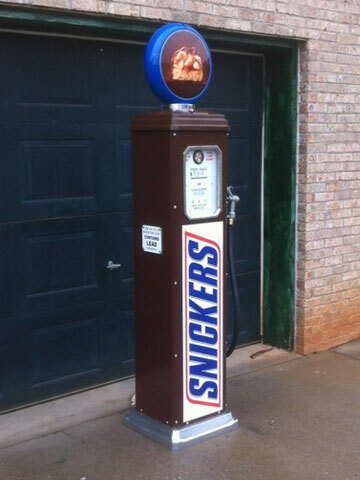 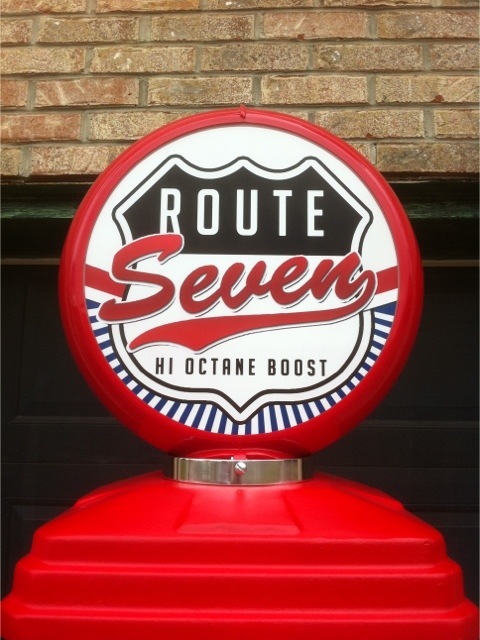 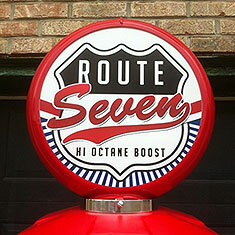 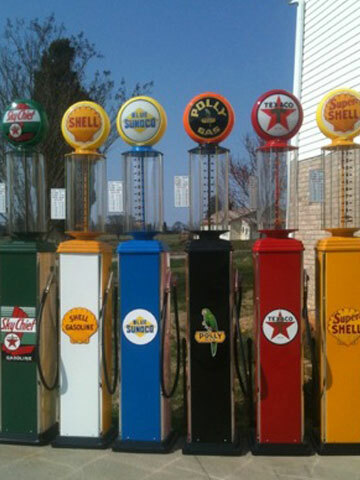 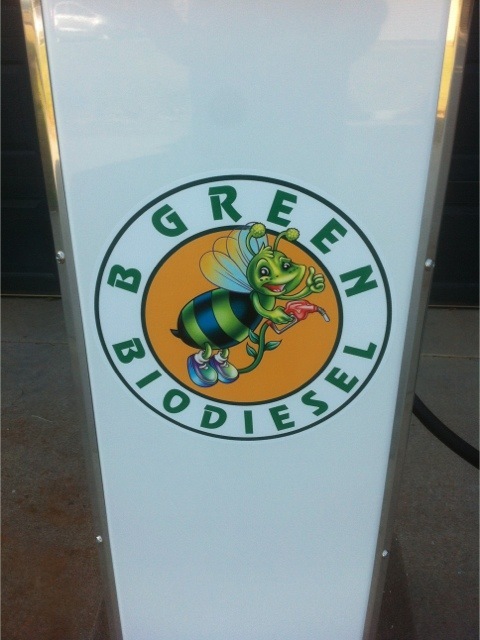 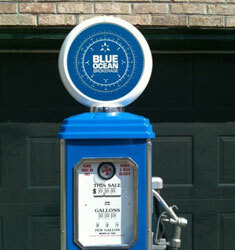 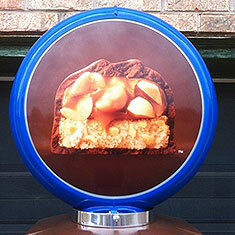 Our custom gas pumps are made to your style with many different colors and options. 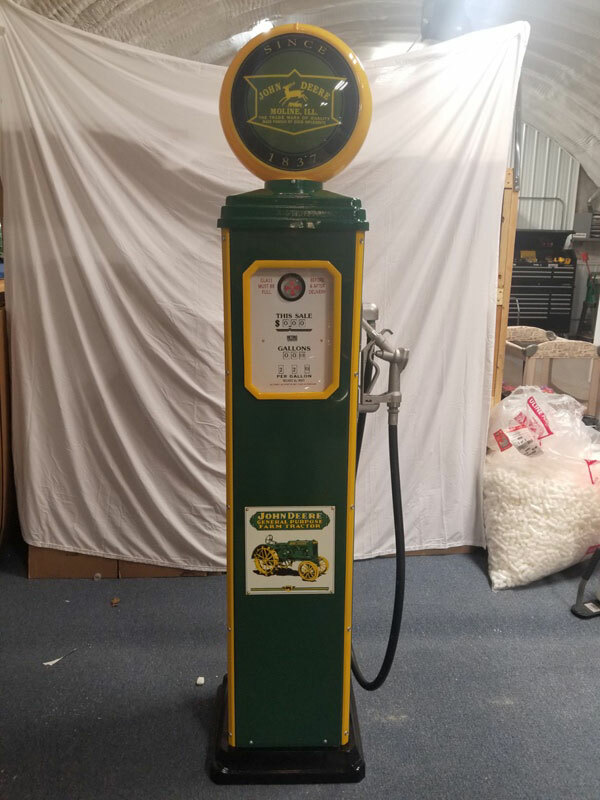 We make all kinds of pumps including: Clock Face Pumps, Calculator Face Pumps, Tall Glass Cylinder Pumps, and even the rare "Double Pump". 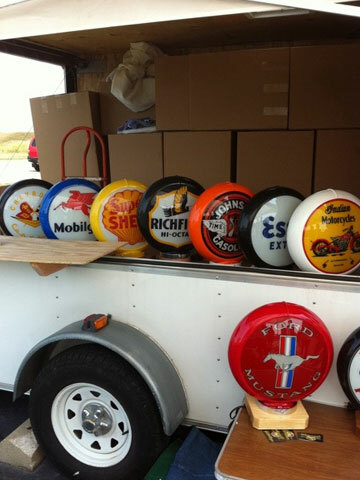 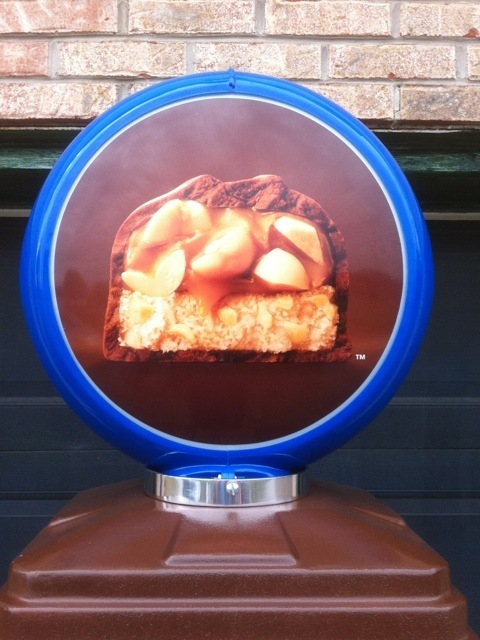 All are hand crafted from scratch.